Happy Sunday, loves! Glad to be back and focused on the blog again after these past couple of weeks dealing with midterms. Nostalgic that it's my last semester ever--but exams and papers are definitely not going to be missed! 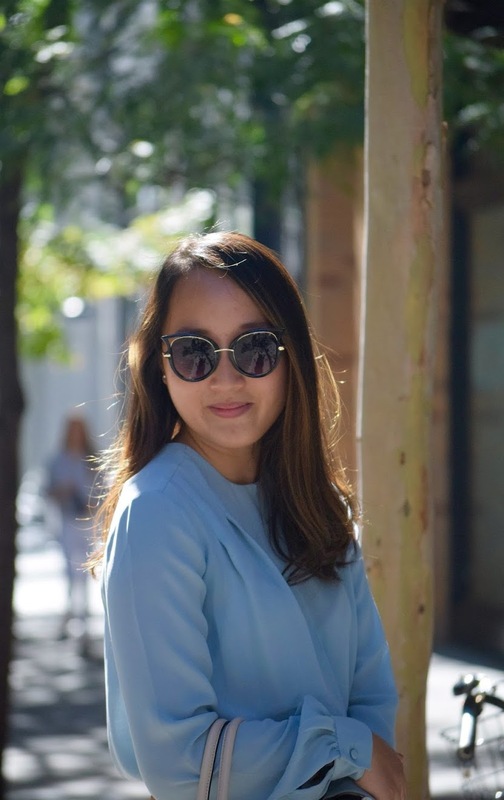 I actually wore this look out on a little blogger afternoon tea date a few weeks ago in Soho, back when the weather was still curiously warm. Of course, I was wishing for cooler temperatures back then, but now that it has gotten colder, I can't help wishing the sun would come back! We always want what we can't have, huh? I've found myself drawn to this criss-cross draped design all season and must confess that I own this kind of top in about 3 different materials and 5 different colors. When you love something, buy it in every color right? I've been wearing these non-stop, so be prepared to see many more posts with this top design! I guess what I love about the draped wrap top is how easy and elegant it looks. I'm all about pieces that are versatile and easy to pair these days. My style and shopping habits have definitely changed over the years and I'm currently trying to build a cohesive wardrobe that will last me through this new chapter of my life. So, it's all about those pieces that will take me from work to weekend now! 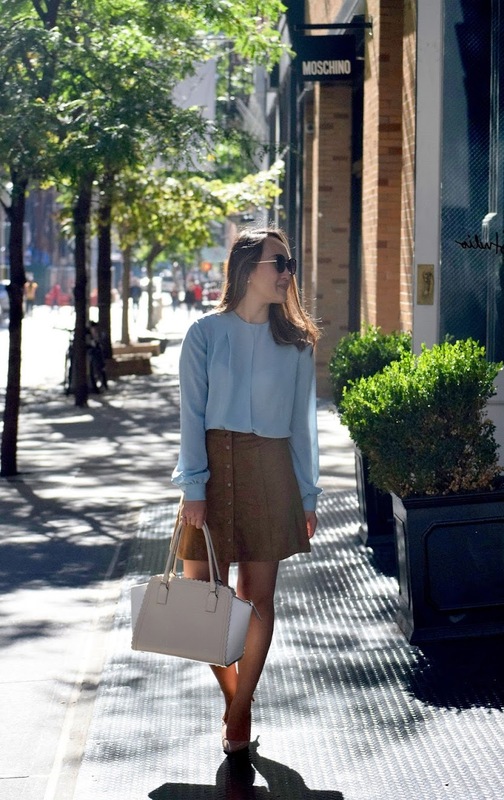 A trendy buy for me this season--the button up suede skirt! I've been seeing these everywhere and in every color imaginable. I thought it would be best to stick with a neutral tone when it came to buying for this trend, but I was almost convinced with the burgundy one as well. Loving the light blue and camel color pairing though! This color combo isn't exactly what first comes to mind when I'm trying to style this skirt, but I'm really feeling this mix of cool and warm tones!